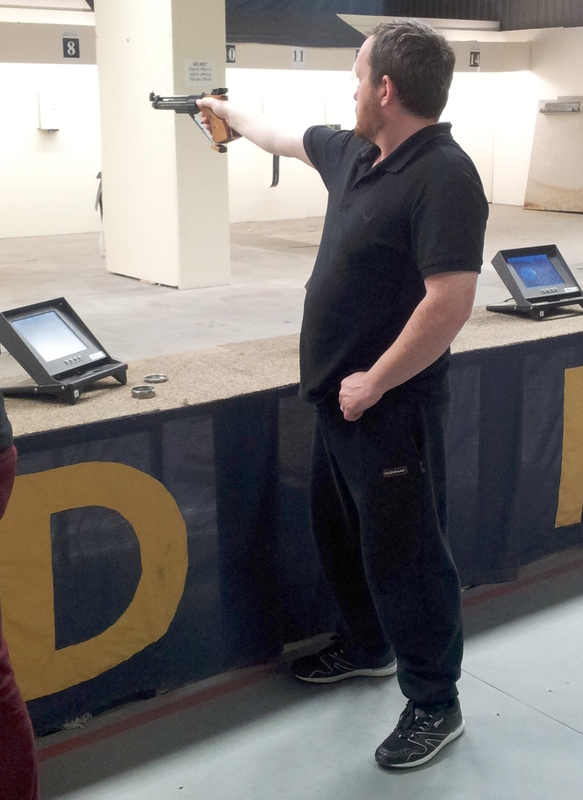 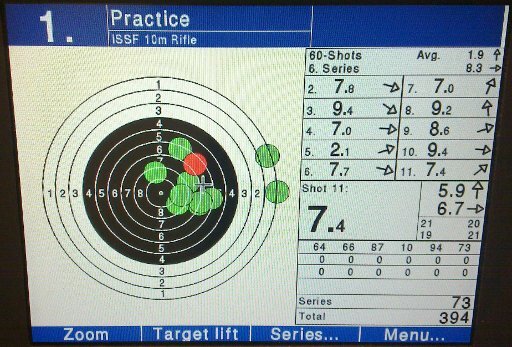 The shooting itself was okay, I mean, I’m no great pistol shooter but I can enjoy it – I still haven’t hit my goal (four years on!) of shooting a full match with the Izzy without dumping a shot into the white, but I’ll keep plinking. 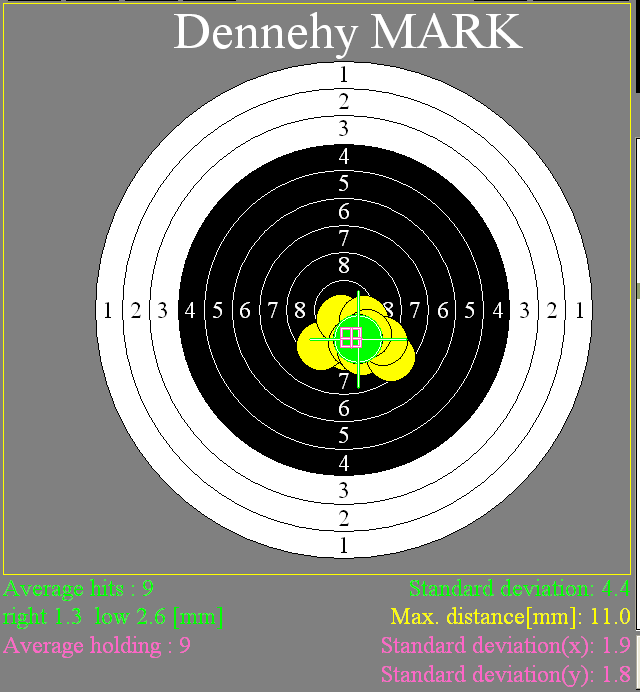 Some of the others were just pounding away on the ten ring though, and with everything from Izzys to the new Walther LP400, which was nice to see. 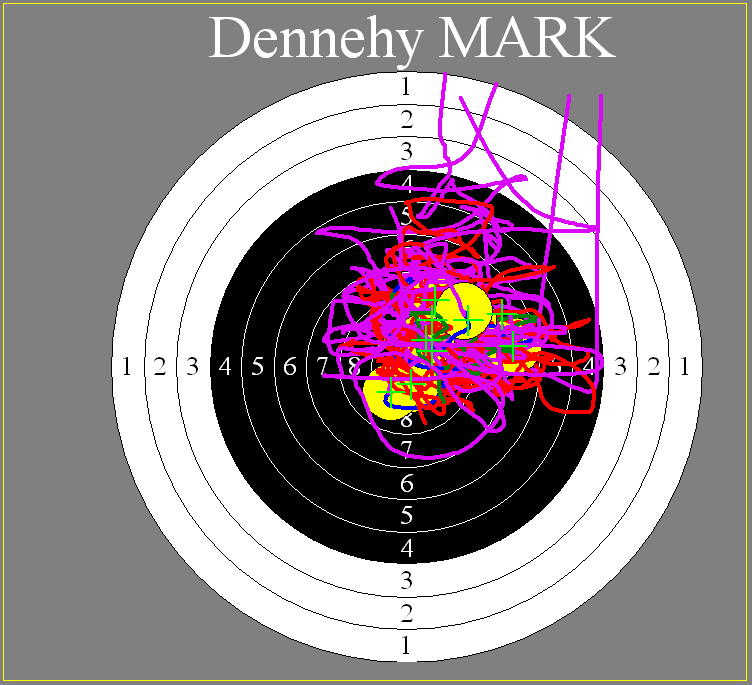 Me, I didn’t get my head back into the game until the final string, and by that time the arm muscles had given up and gone home 😀 But it was nice finding the mental still point again. 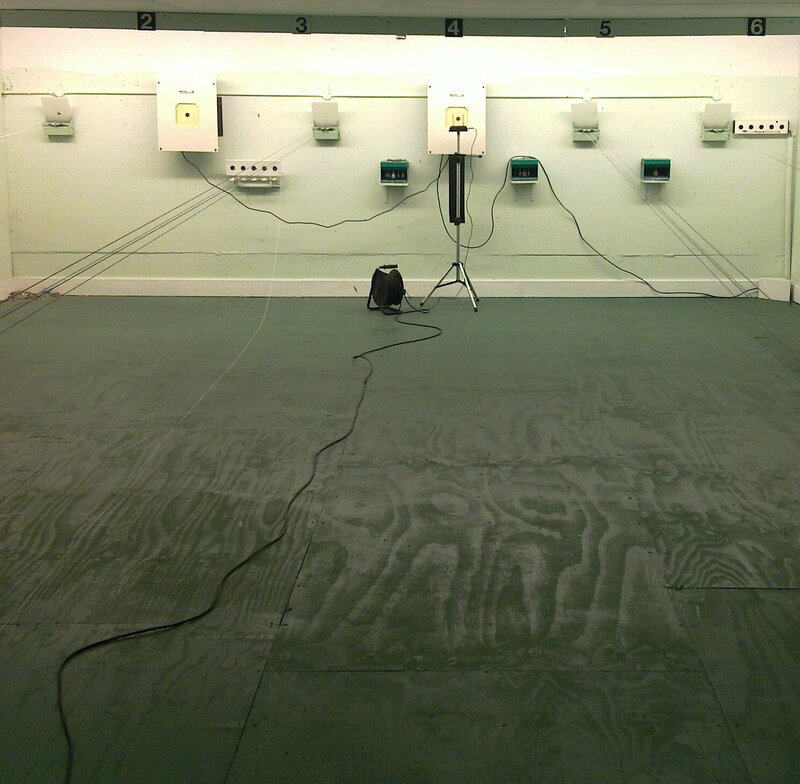 New lights – 4.5kW of high frequency florescents. 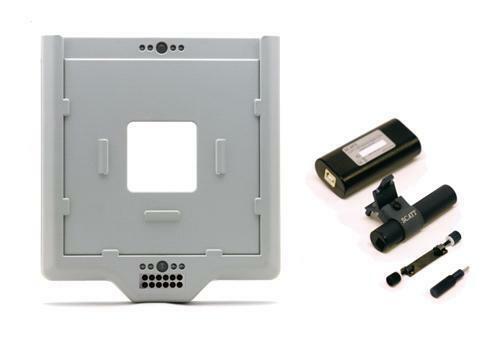 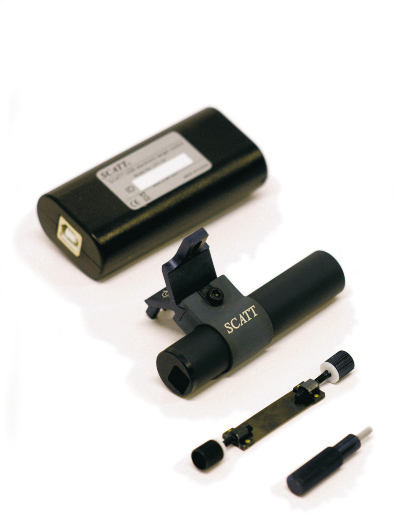 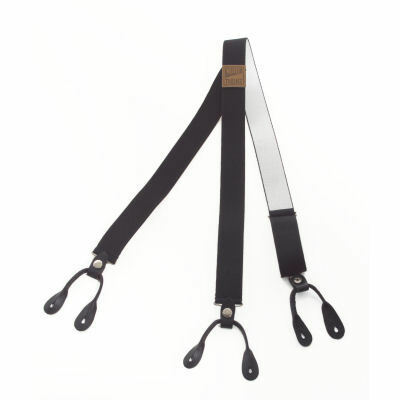 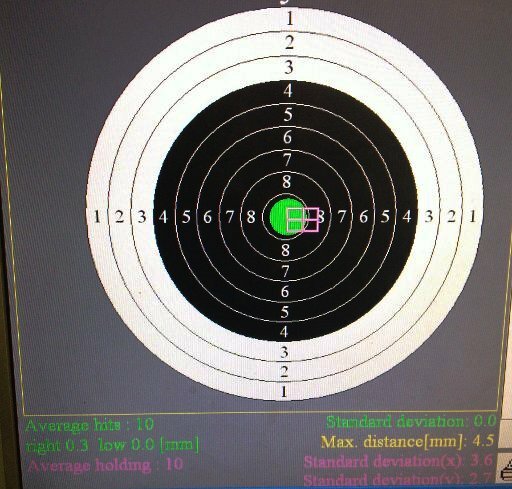 Makes an *enormous* difference to the shooting – it’s like a whole new range! 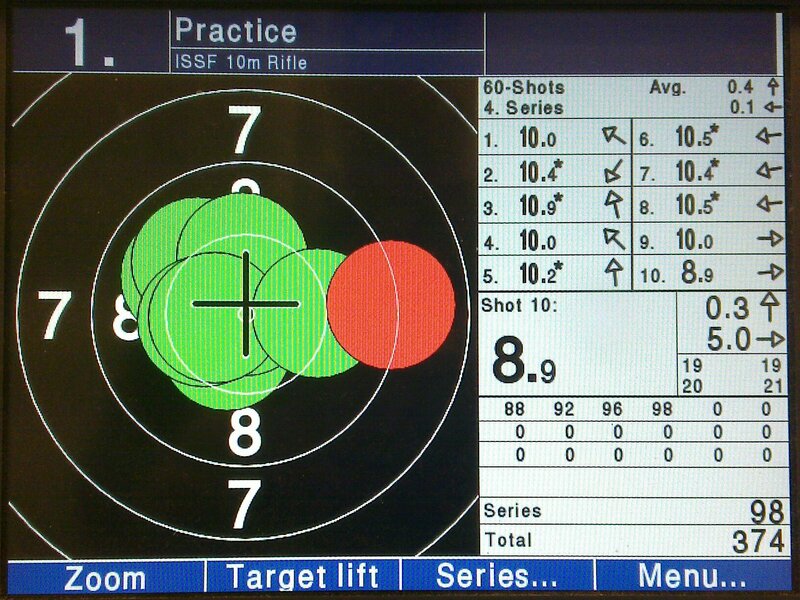 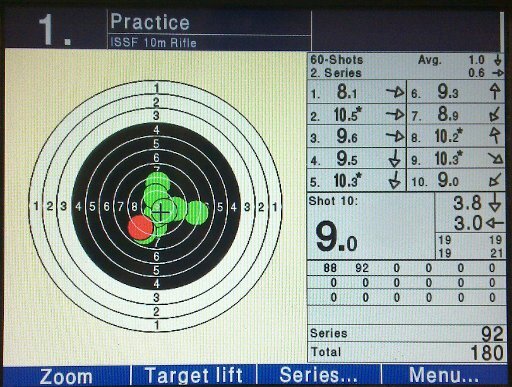 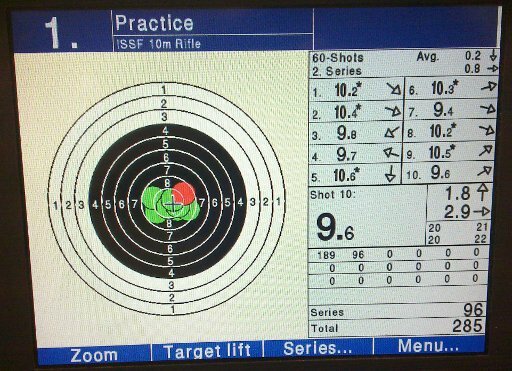 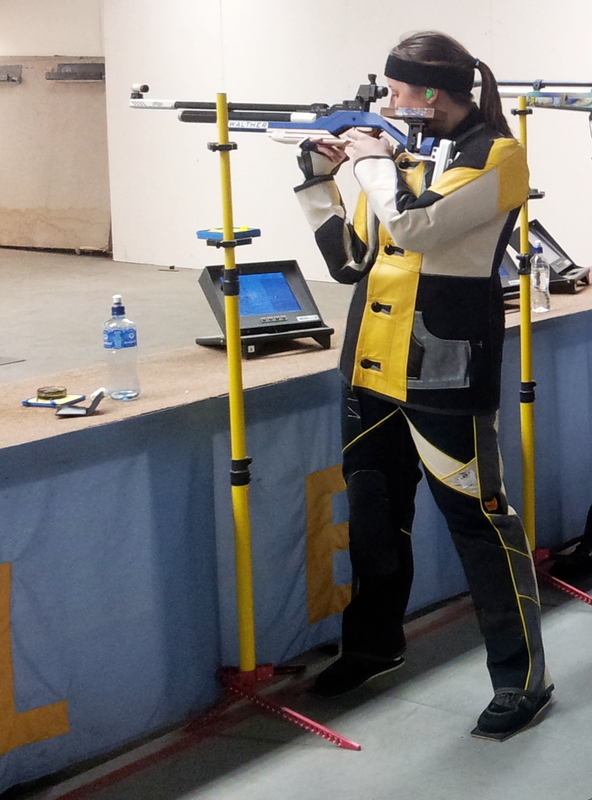 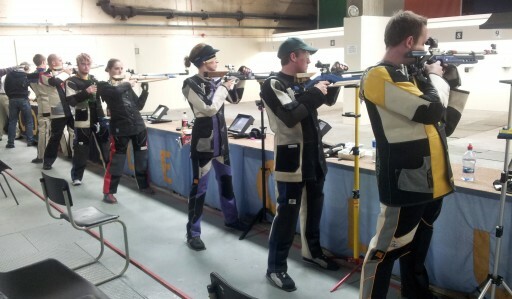 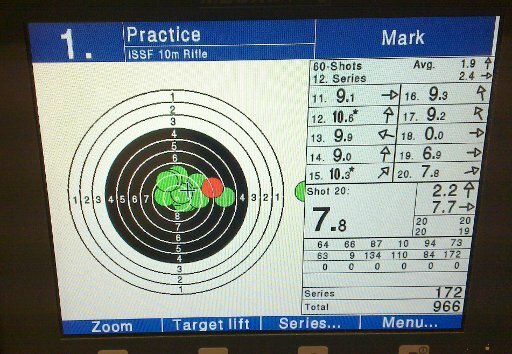 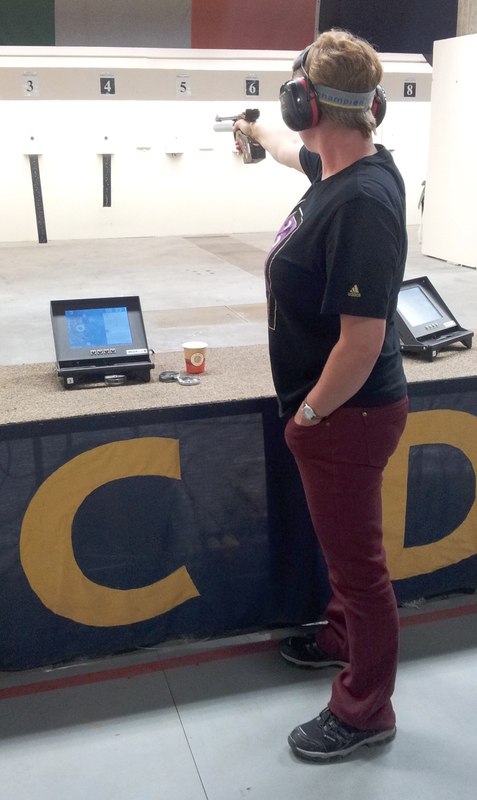 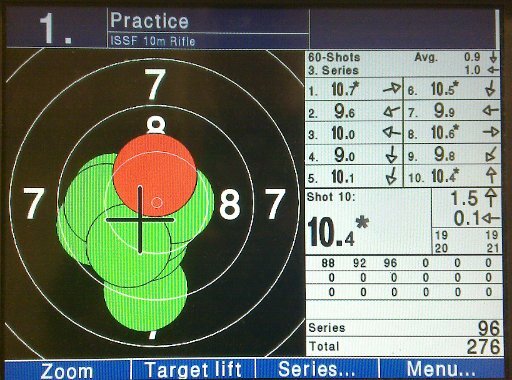 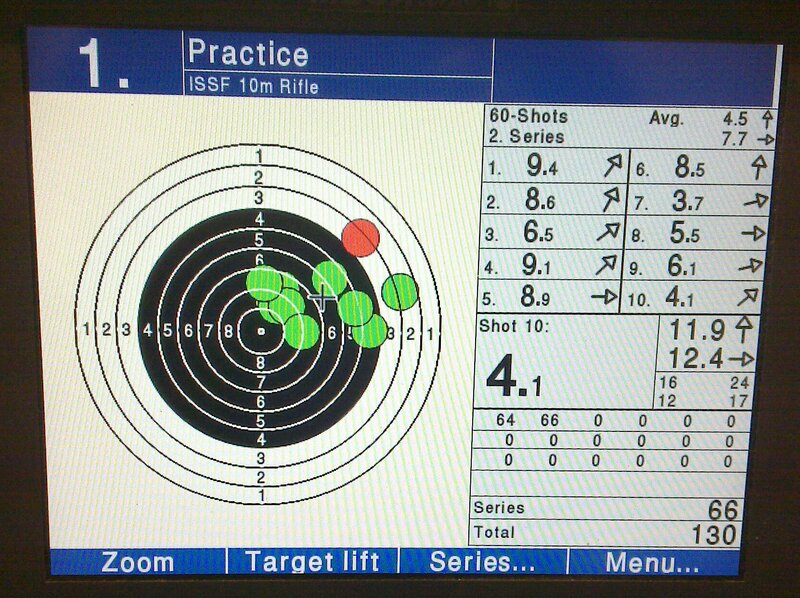 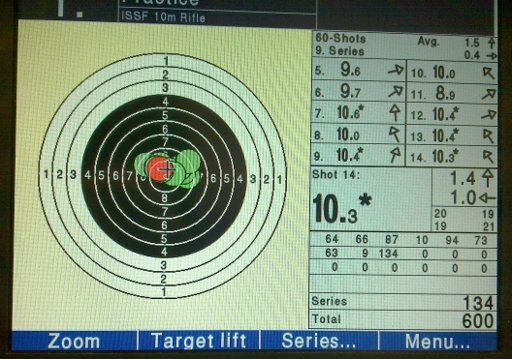 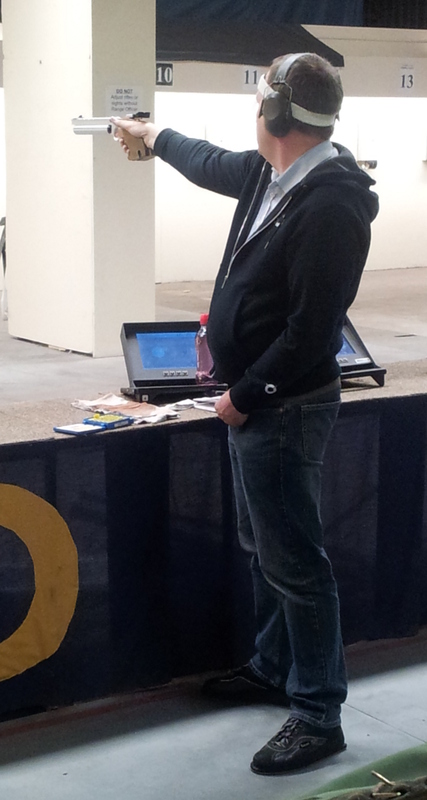 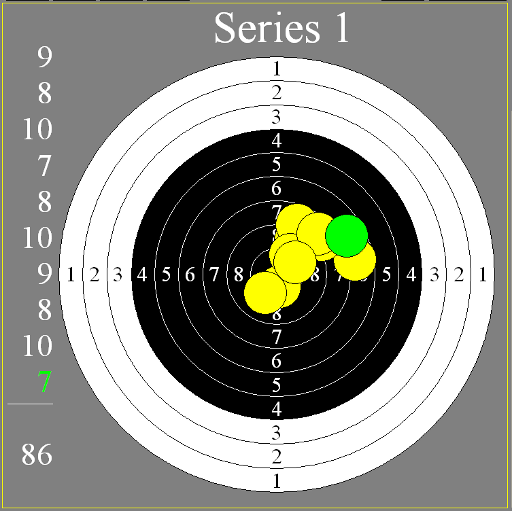 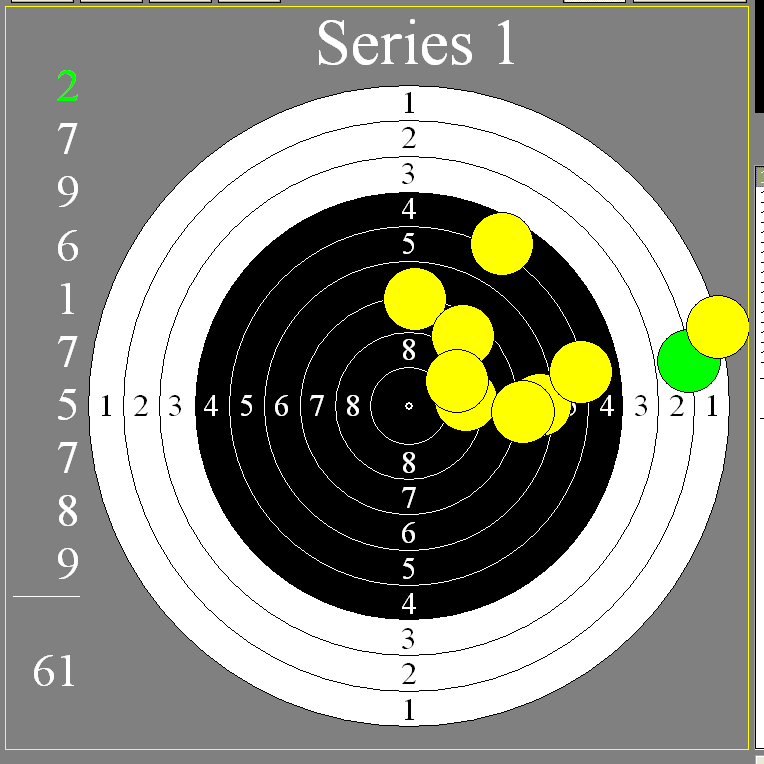 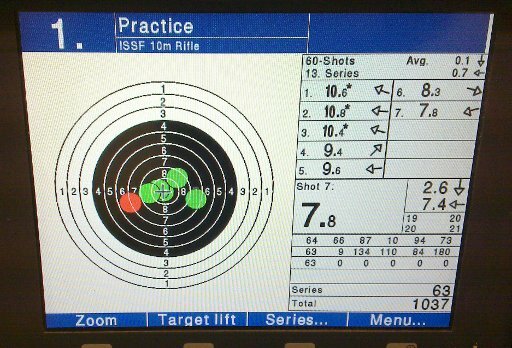 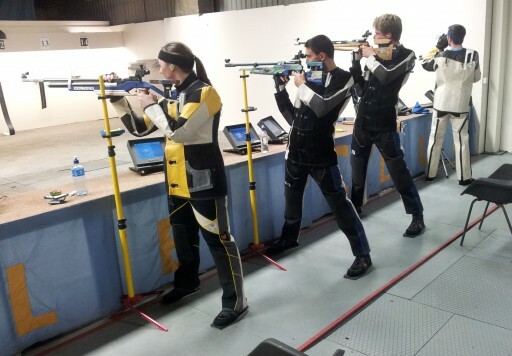 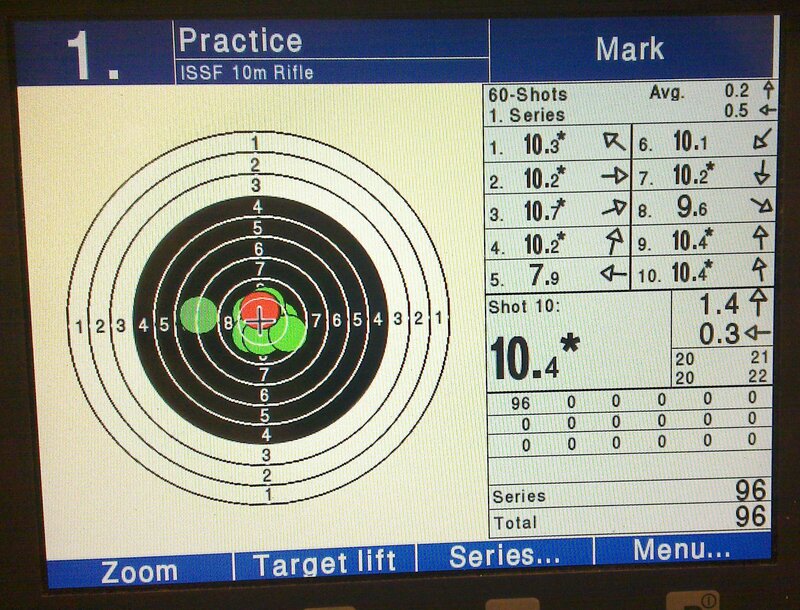 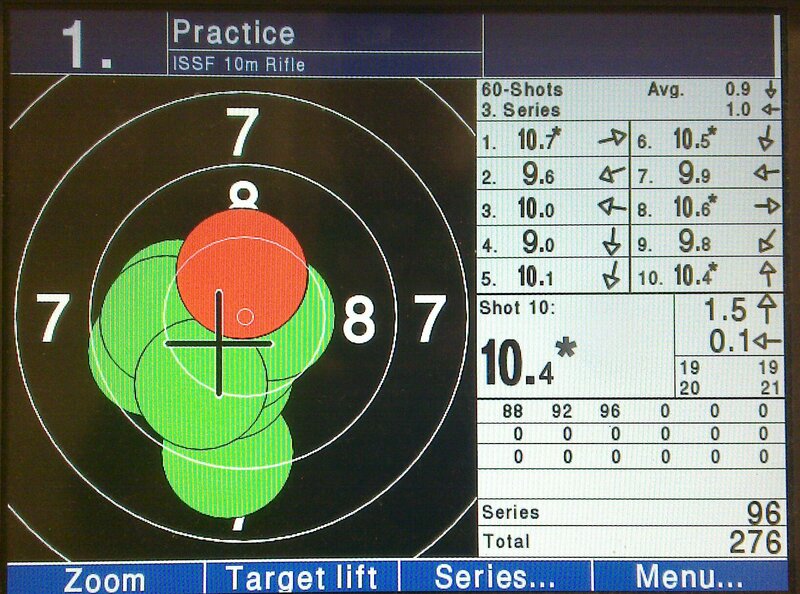 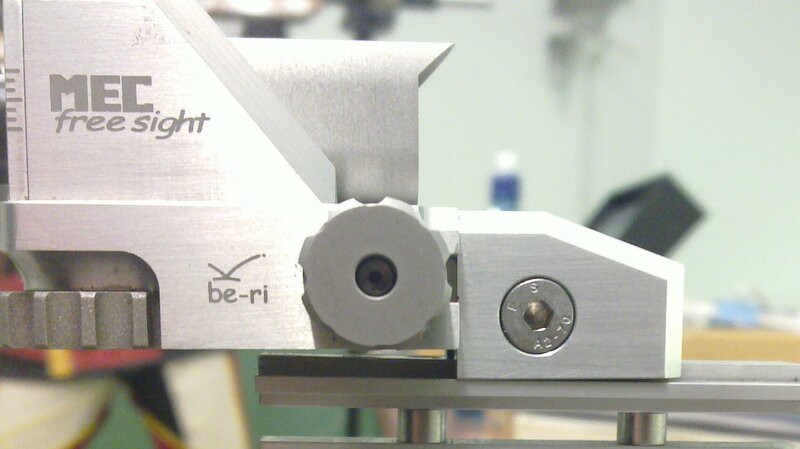 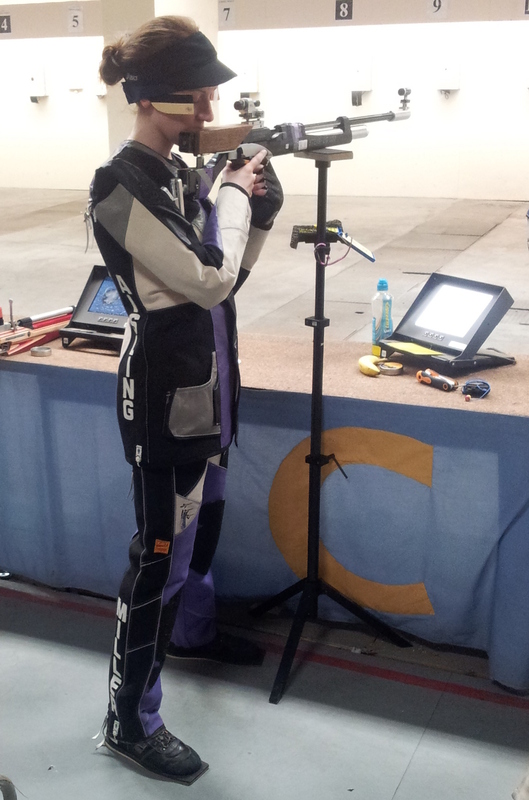 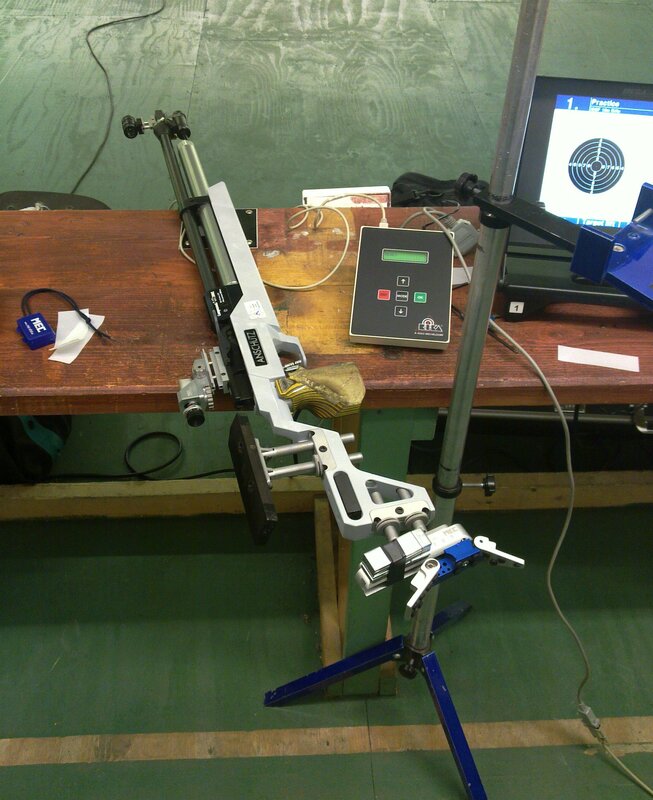 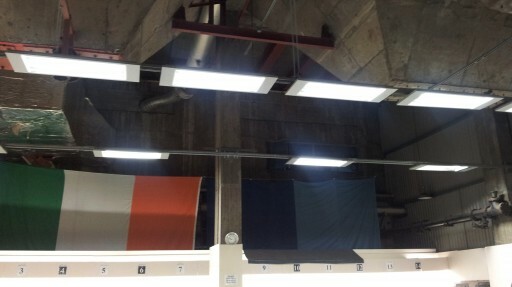 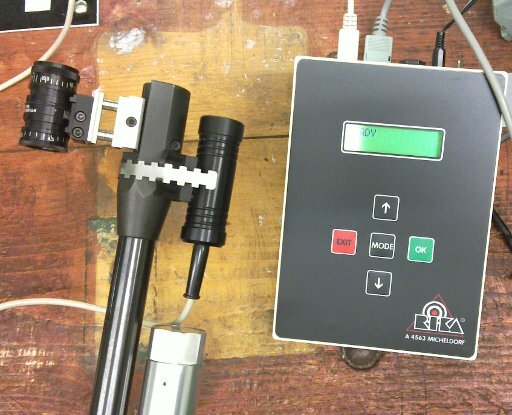 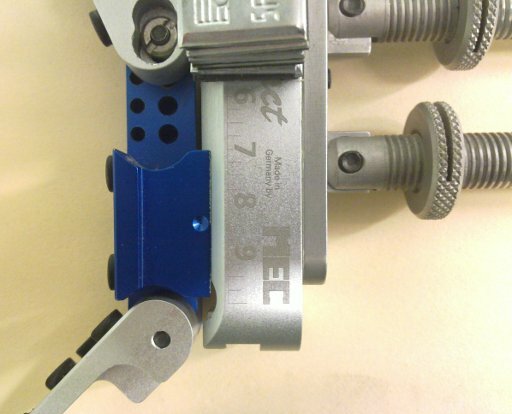 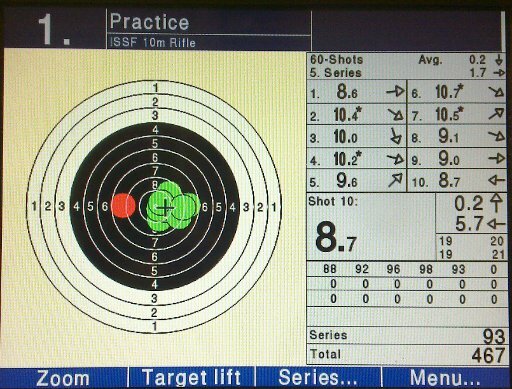 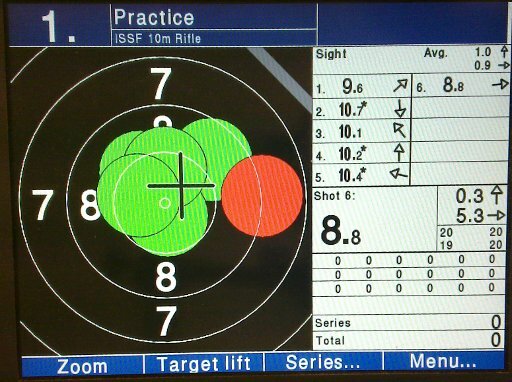 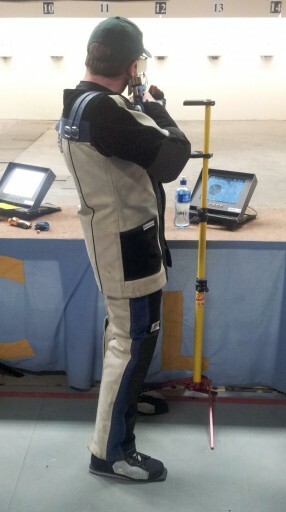 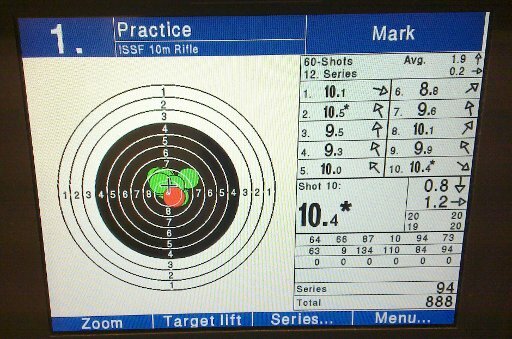 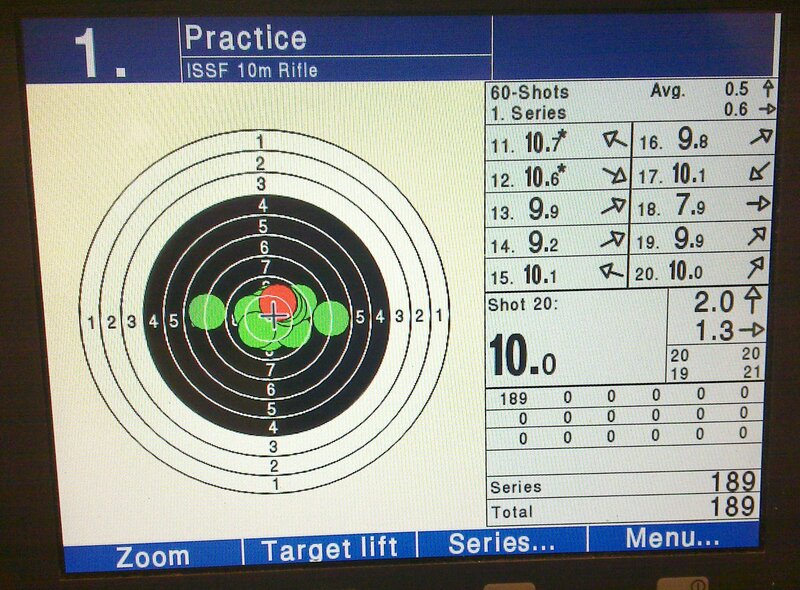 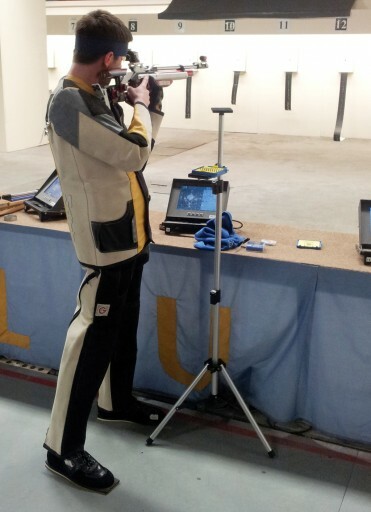 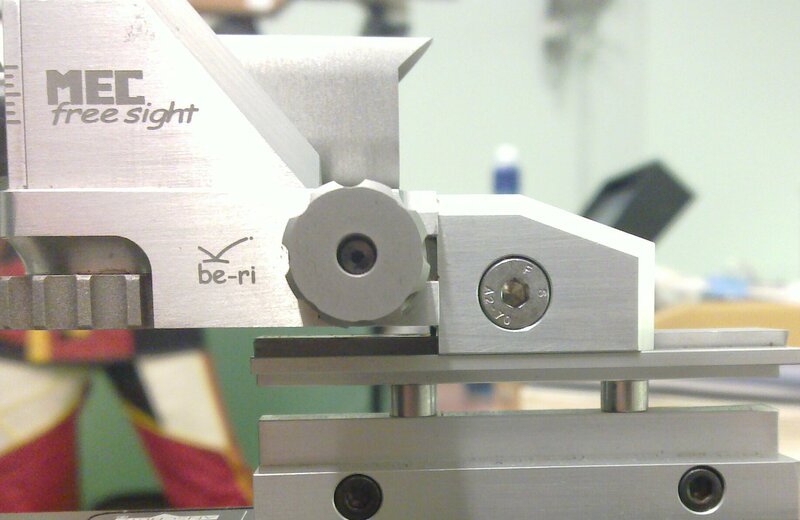 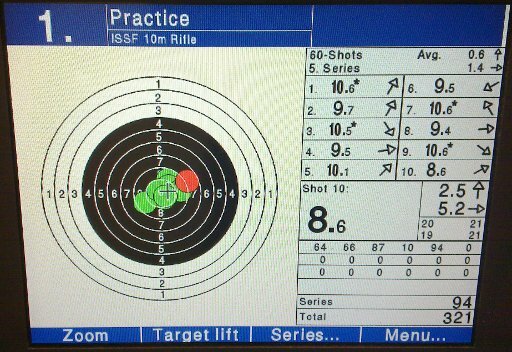 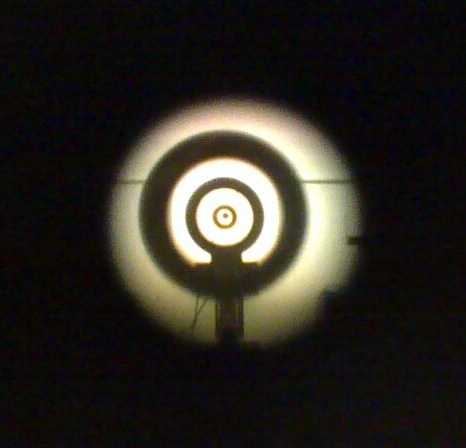 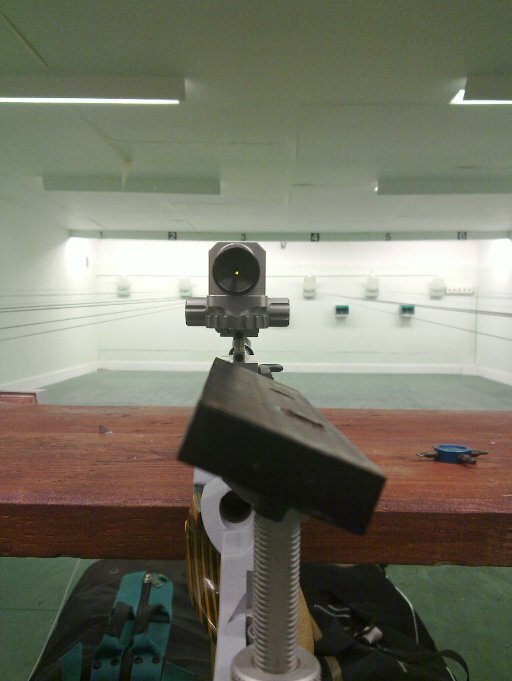 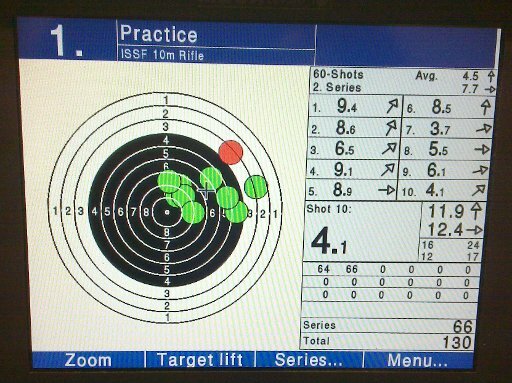 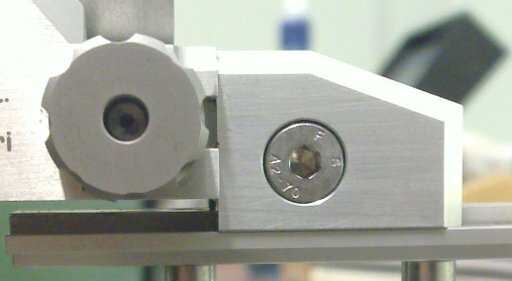 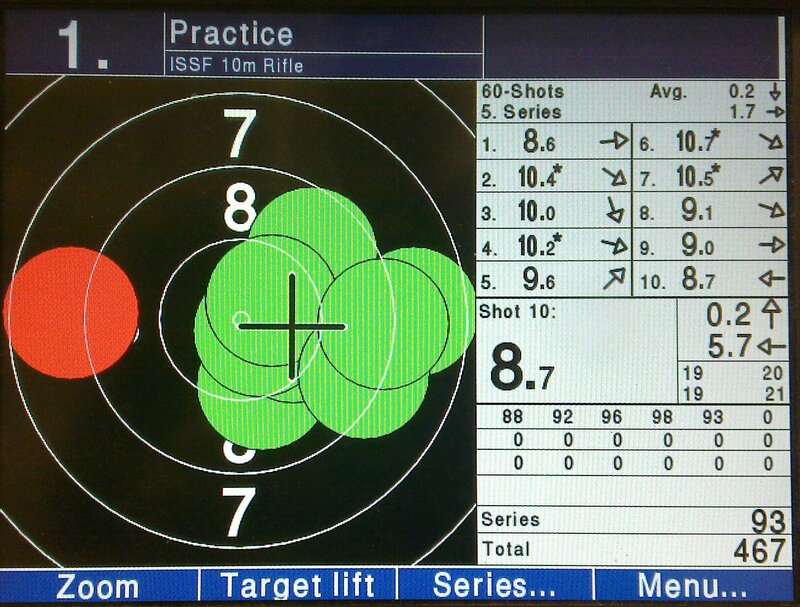 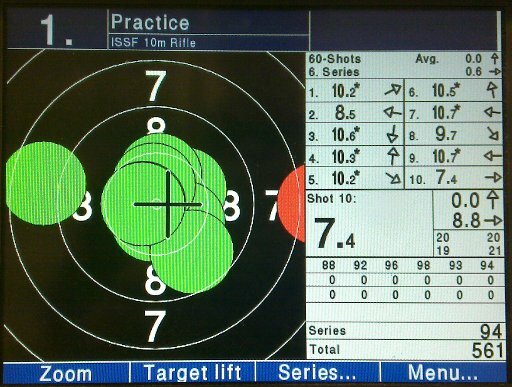 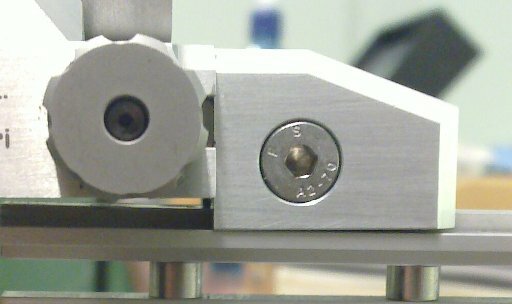 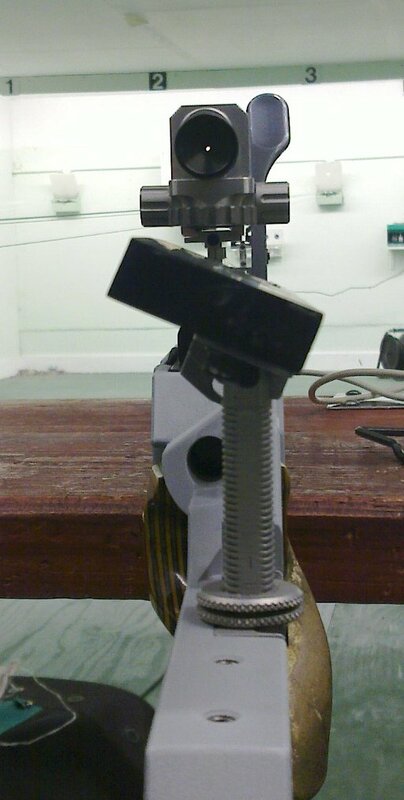 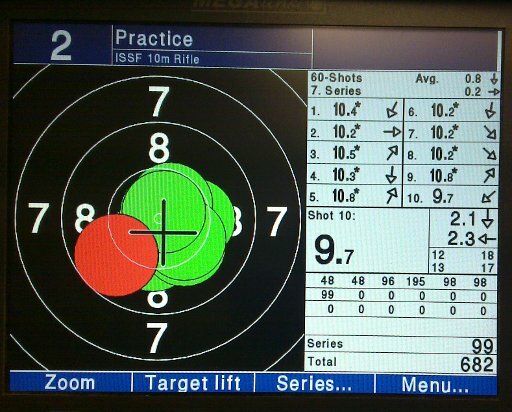 Posted on August 19, 2012 by Mark Dennehy in Events, General and tagged Air Pistol, airgun, Electronic Targets, Range, UCDRC. Again, a weird flier but otherwise okay. Looking at the Rika traces showed the fliers are coming from the triggering, so at least I know what to work on. 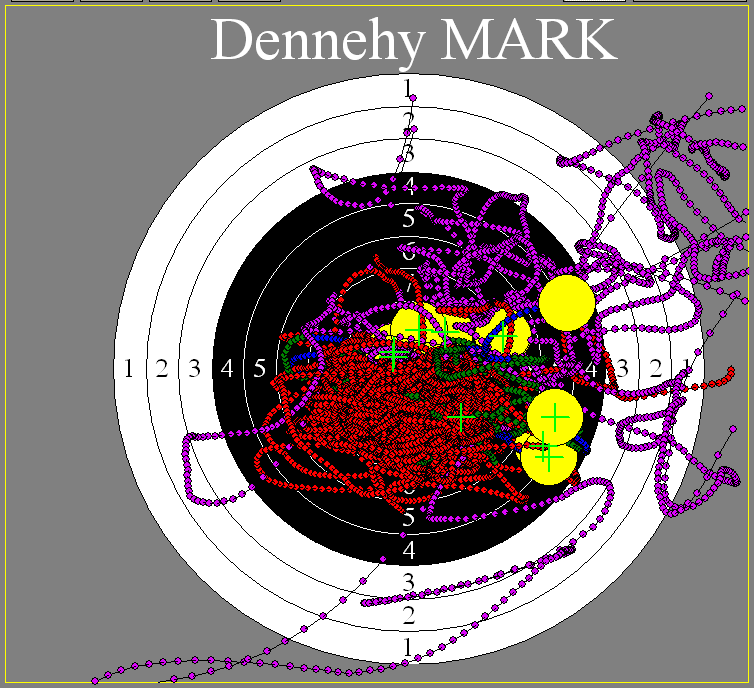 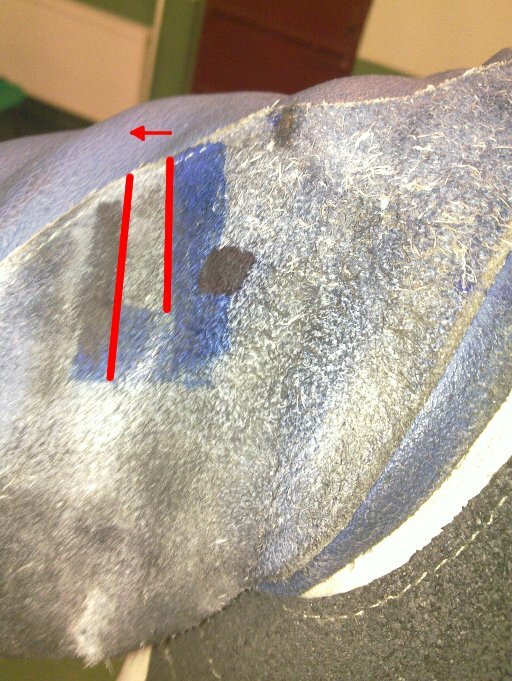 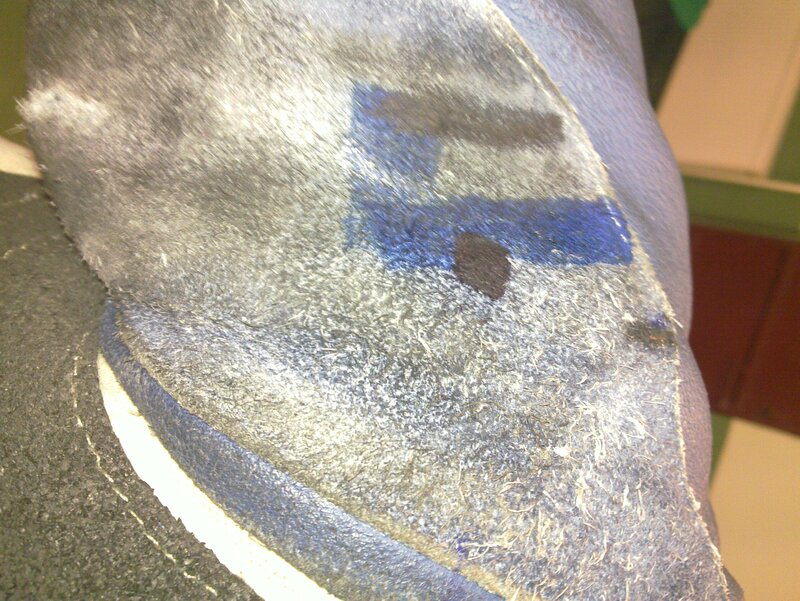 Unfortunately, we mucked up the setup of the Rika and lost the traces, and by this time my back was sore – that being the role of the jacket, not to help you shoot a ten but to help you shoot more than 20 of them in a row, which seems to be where my limit is at the moment. 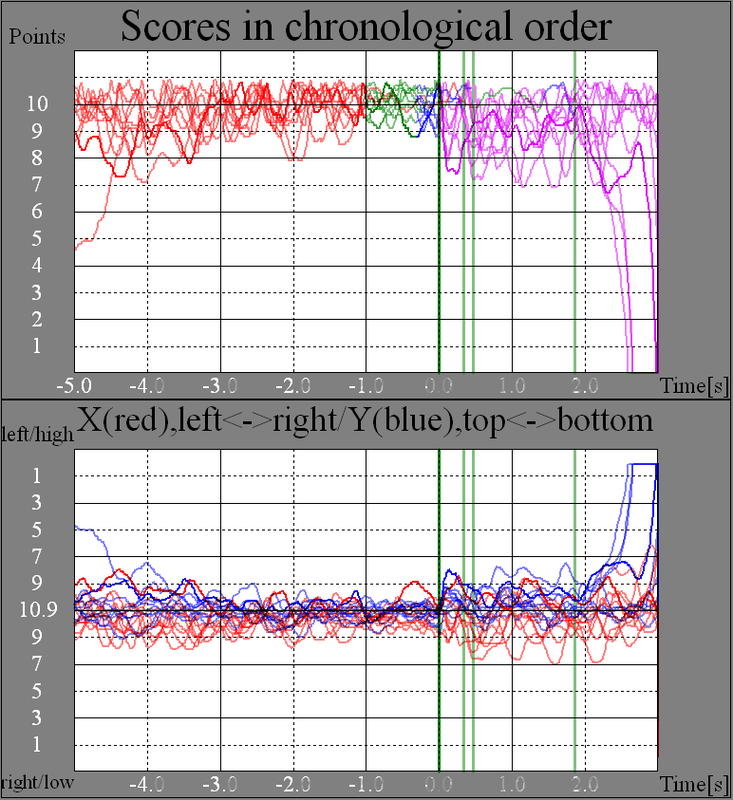 Something else to work on..
Minor differences between group sizes and shape – seems the Rika configuration drifts over time. 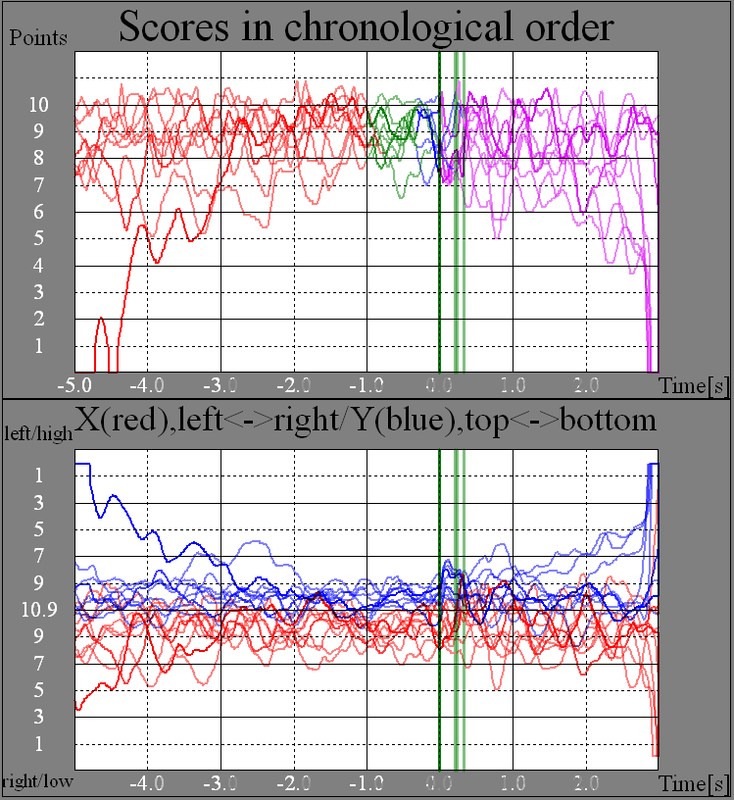 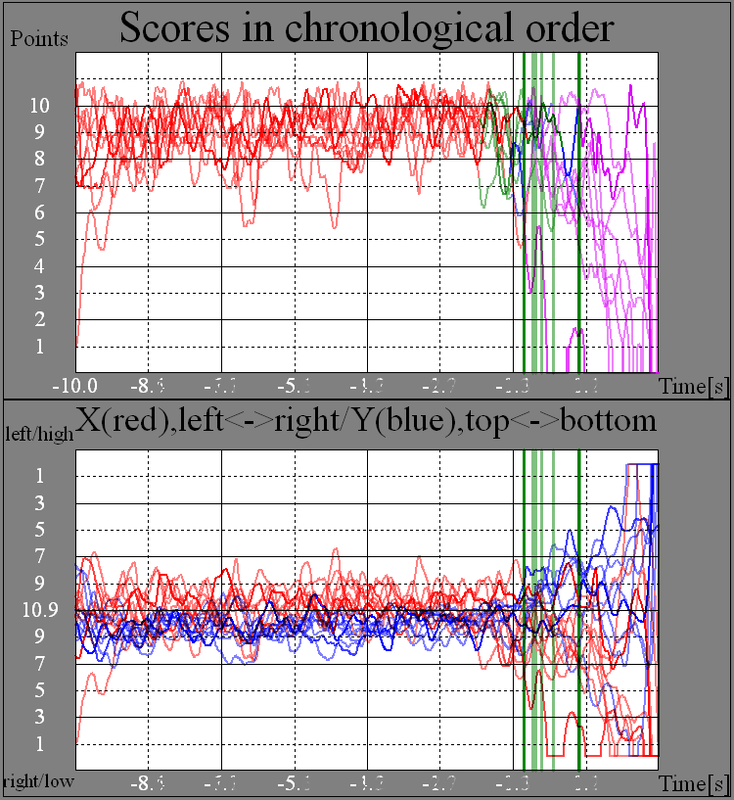 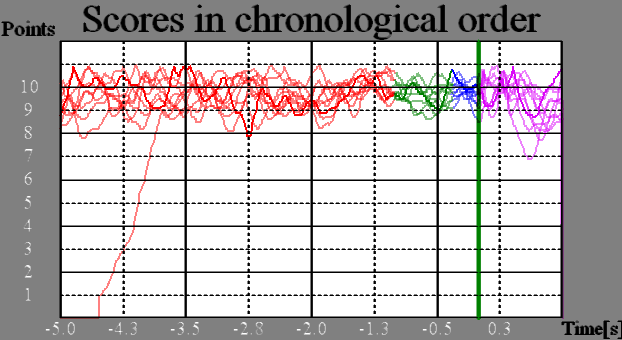 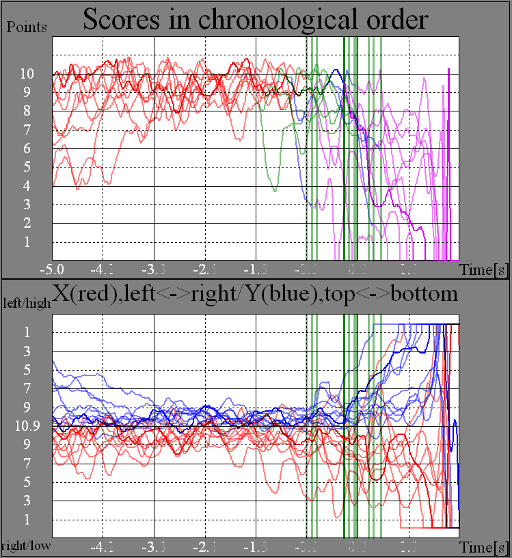 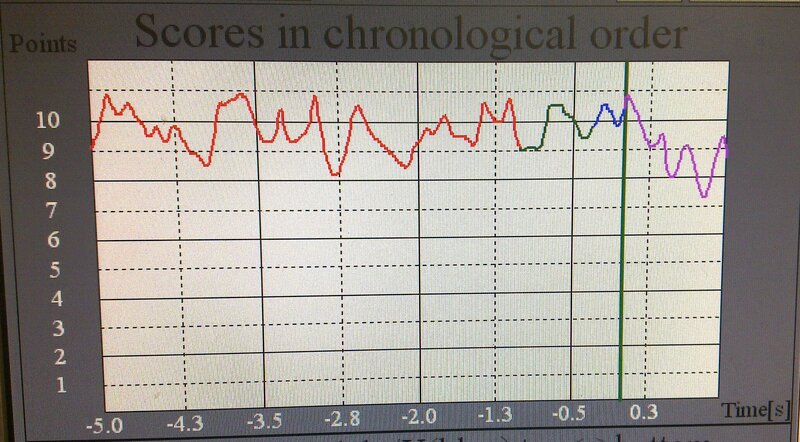 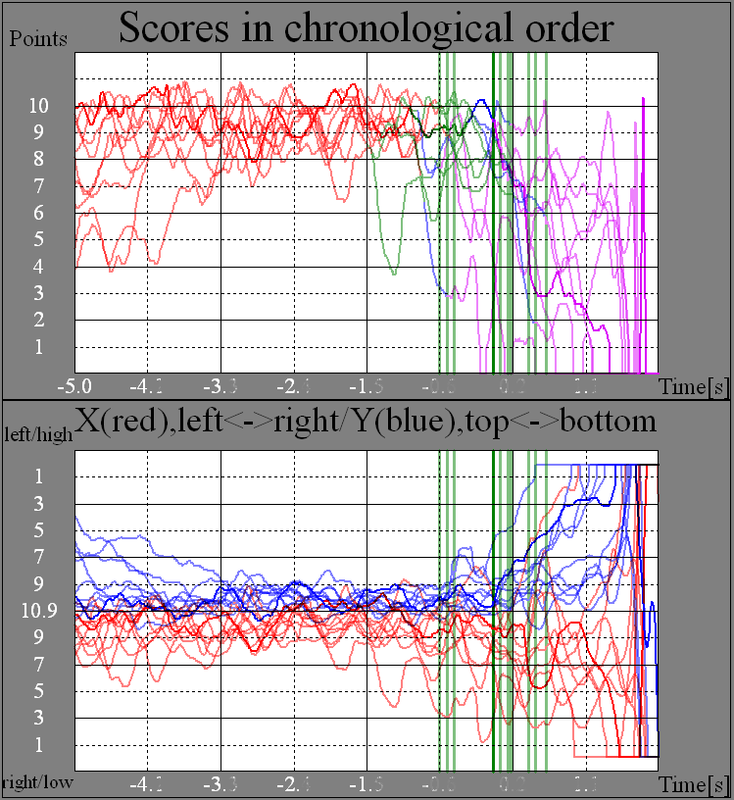 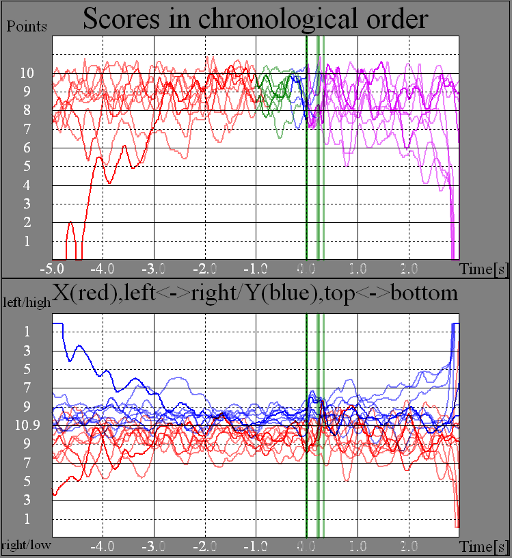 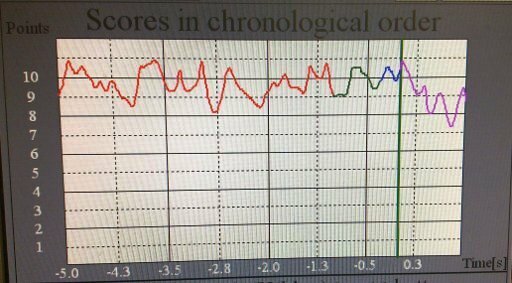 Looking at the score-v-time graphs, they’re reasonable enough (reasonably level up to the release and no big spikes around release). 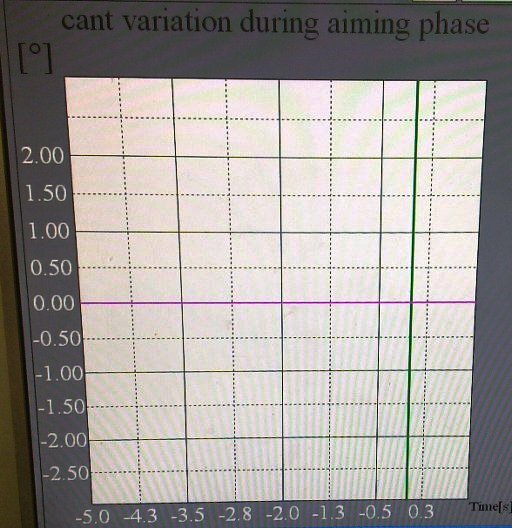 So, new plan. 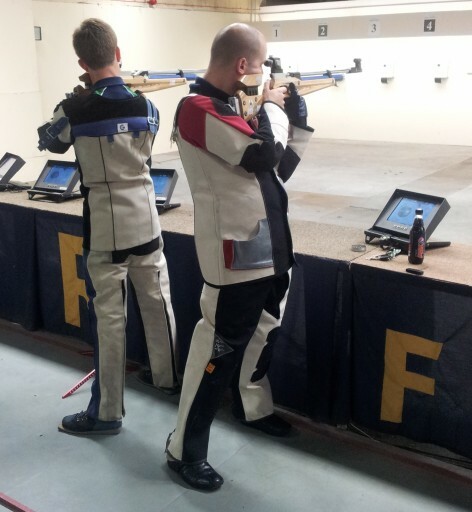 Work on back muscles to push the muscle limit past 20 shots, and work on the triggering to eliminate those weird fliers. Which probably means more Rika time in the next few weeks. 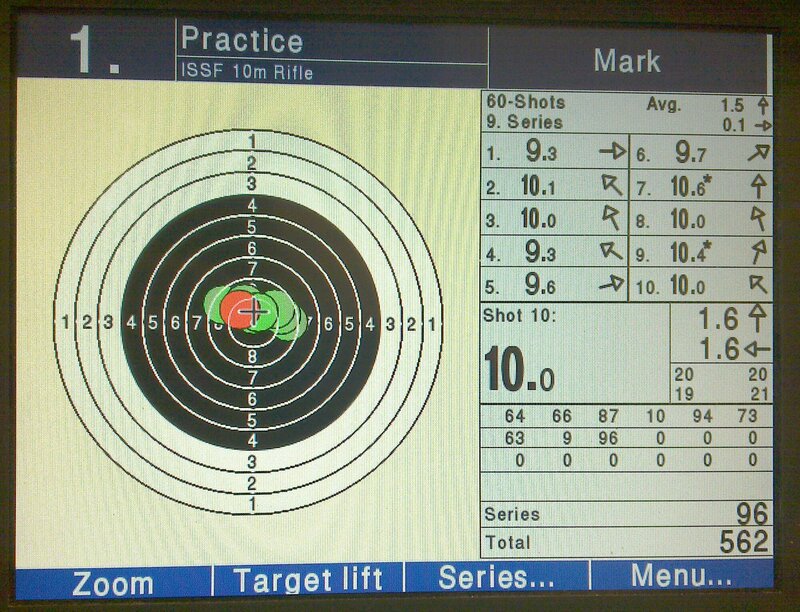 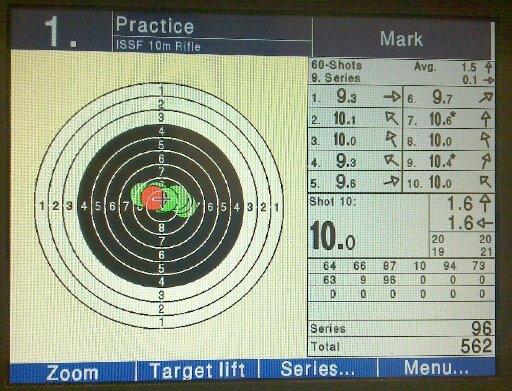 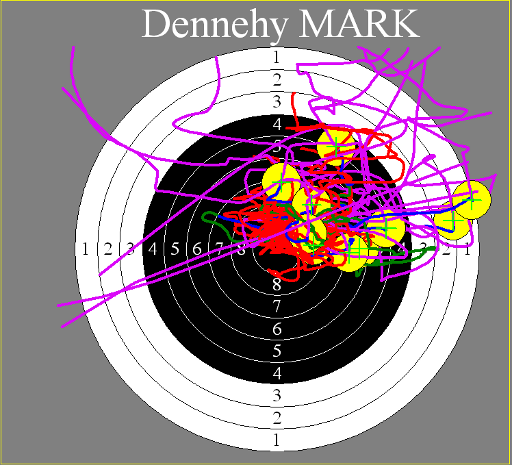 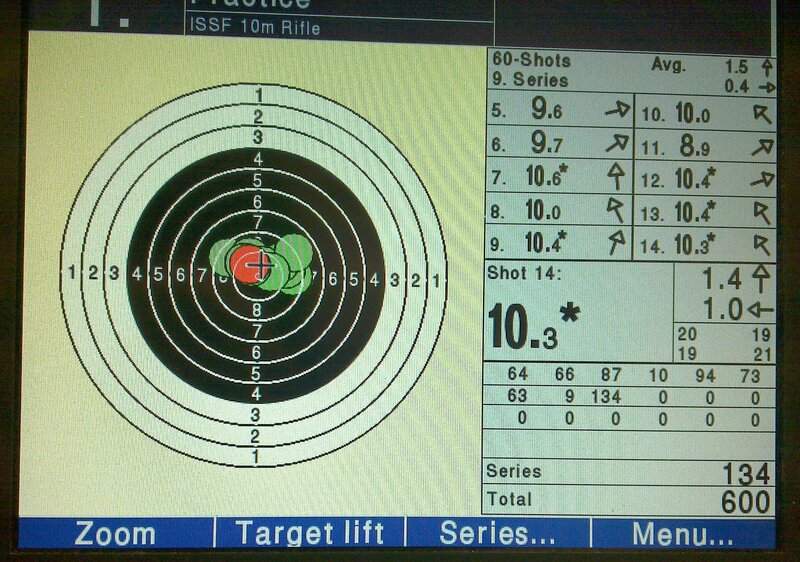 Posted on May 22, 2011 by Mark Dennehy in General, Training, WTSC and tagged Air Rifle, airgun, Electronic Targets, Megalink, Rika.